A new PhD student at the paleoneuro lab! María Silva is an archaeologist, and she did a master in human evolution, working on cognitive archaeology and visuospatial integration. Now she will keep on making research in this field, working on visuospatial capacity and experiemental archaeology. She is now fully enrolled in the PhD program at the University of Burgos, Spain. She will integrate concepts in archaeology, cognitive sciences, and psychology, as to investigate issues in brain-body-environment functional relationships. She will work in a joint team with Annapaola, further integrating this group that mixes fossils and behavior. 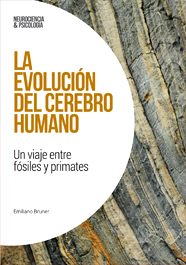 She is also one of the editors of our blog on evolution and prehistory. So, more and more cognition here in this lab!